"Amazon QuickSight fast cloud-powered "
Amazon quicksight is an economic analysis, quick and easy.runs entirely in the AWS cloud, has good access to Amazon data sources and fair access to other data sources, and offers basic analysis and data manipulation at a basic price. Once you have data sets, you can create analyses with one or more visualizations, which you can organize into dashboards and stories. You can share data sets, dashboards, and stories within your organization. As we’ll see, QuickSight makes this process quite easy and straightforward, but it lacks some useful visualization capabilities found in competing tools. Quicksight is very efficient because you can use it anywhere and at any time, you are able to choose your data source, it can be integrated with the popular BI tools and much more. It is a business analysis service powered by the cloud that facilitates the creation of visualizations, perform ad-hoc analysis and quickly obtain information from your data.Well, if you want to start using the quick view, do not give problems, because it is easy and fast. "Extremely simple for simple use cases "
It's highly integrated with data on AWS, and it's very easy to set up basic use cases. Compare to Tableau or other focused solution, Amazon QuickSight still lacks a lot of customization features. No easy way to share or publish dashboard with people outside your aws accounts. If you need to share the web form of the dashboard, you will need to create aws account and then add quicksight account for your customer. Ideally you would want some URL that you can share with some basic authentication and zero cost. One thing I noticed is QuickSight has not been adding feature since 2017. Quick dashboard set up for data in AWS. Our goal was to generate a set of metrics quickly base on data we store in AWS, we don't want to download data and process offline which is too much manual work, we wanted cloud native solution since our data are in AWS. "Has Potential but seems suitable only to larger organizations vs smaller startups"
I really love the integration with AWS and how easy it is to get my RDS to work directly with QuickSight. The fact that I can manage everything with AWS is great and preferable to actually working with multiple system and connectors. There is a severe lack of ability to make custom fields, group bys, and other features that other BI solutions excel at. For example I wish I could have the functionality to really customize some level of detail expressions as well as more control over the colors and styles of the visualizations. Currently it is not flexible enough to meet most of my customers needs. For example my customers will not only want high level looks but also want to drill down and pull out tables of data which seems like it is implemented but is not robust enough. Give the trial a fair shake, try and develop a dashboard / data solution that would mimic a setup that your typical end user would like to see. BI on demand for small start ups to answer key business questions and KPI management. So far though we havent been able to convince the teams that it is enough insight provided in a easily digestable format and flexible enough to provide drill down data when deeper analysis is required. "Good for raw analysis but lacks intuitive insights capabilities"
The data retrieval & processing part is easier to handle esp since we are on AWS cloud platform. The tool suits more technical roles - product / engineering since they do more of the geeky analytical stuff & analysis is raw so they don't have to spend time beautifying data. We do struggle to manage data outside of cloud so other analytical packages such as Tableau & Qlik score on those aspects. Business teams will find it difficult to adopt Quicksight since scope for customizable dashboards & visualization is extremely limited. "Easy to find the products "
"Pretty cool data visualization tool"
I like the ability to easily create and share data visualizations (graphs, pie charts, etc) from existing datasets in aws redshift. The ease of use is also a huge plus. Sharing visualizations with people not on your aws account with quicksight only accounts is a plus, although when I last used it invites were by email only via. The web app. When I last used it in a significantly large redshift table (1b+ records) visualizations took time to generate (as all the data couldn't fit into cache) which is fine if you have time and don't care about connections being open to your cluster for a while - but as a developer it's much much faster to directly query the db and get the information you need. Connect it to your database / upload some data sets and play around with it - because of how easy it is to use you'll very quickly understand whether quicksight is suitable for your project. Visualization of developer data sets to management / people that we didn't want to have direct db access. "Flexible pricing options for your various needs"
I actually don’t have any dislikes. I think it’s a super useful tool and the price is right. "A new service that isn't ready yet"
Unfortunately, QuickSight offers the barest minimum of features compared to industry leaders like Power BI and Tableau. Ability to integrate other data sources is very limited, visualizations are overly simplistic, and interactive usage is very hampered by lack of features. At this point, essentially none. We had hoped to utilize this as a potential alternative to other tools such as Power BI and Tableau but after multiple team members explored it we realized there were essentially no use cases where we would choose QuickSight vs. competitors. "Economical, easy to use visualization tool"
The cost can't be beat. While the package lacks many of the bells an whistles that's in Tableau or Looker, it has all the basics and gets the job done for 90% of our users. The user interface is a bit messy. Location of filters and items aren't intuitive, but easy to use once you get the hang of things. We use it to give users access to recurring reports. "Lots of potential, would like to see more"
Easily visualizing data without having to set up Tableau. 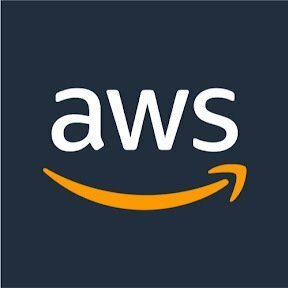 Keeping data within the AWS ecosystem. "Ok for Data Analyst, Not Ready to Embed"
Cost structure and ease of setup. That is all I liked. Data errors occur for no apparent reason on basic numeric data. Support is slow to respond (this was around the time of the AWS trade show, so YMMV). It was not clear how to provide multi-tenant security in a pooled tenant model. As the name of the program states it's best benefit is the fact that you don't have to dig around for the information you need it's readily available. "Cheap and Easy to use"
Poor graphical customization on graphs. Geolocation recognition Limited. Not possibile to add data with "zero" on Series Like time Series (can be done through SQL query), not directly on graphs. Dashboards for remote monitoring of production chain. I like the fact that it visualizes everything beautifully. The drill down feature is also appreciated. I don't like the fact that it sometimes can't show any data. I use Amazon QuickSight to visualize billing. Its visualization allows more people to be aware about it. "It is simple, fast and easy to go with respect to visualization"
It is very user friendly, fast and supportive. Simple and very easy to access. I have had a very good experience with it. It is simple but little raw and cannot be used as primary reporting tool. Quicksight is very easy to use, the interface is very intuitive. Getting from data to visualization was very fast. It could use some more sophisticated features. The basics are good but seems like it could be easily expanded. Not possibile to interpolate data with "zero" directly on graphs. The UI could look better, kind of blocky. Instead of reading DB Tables for key analytics I can simply project onto a QuickSight Dashboard. * We monitor all Amazon QuickSight reviews to prevent fraudulent reviews and keep review quality high. We do not post reviews by company employees or direct competitors. Validated reviews require the user to submit a screenshot of the product containing their user ID, in order to verify a user is an actual user of the product. Hi there! 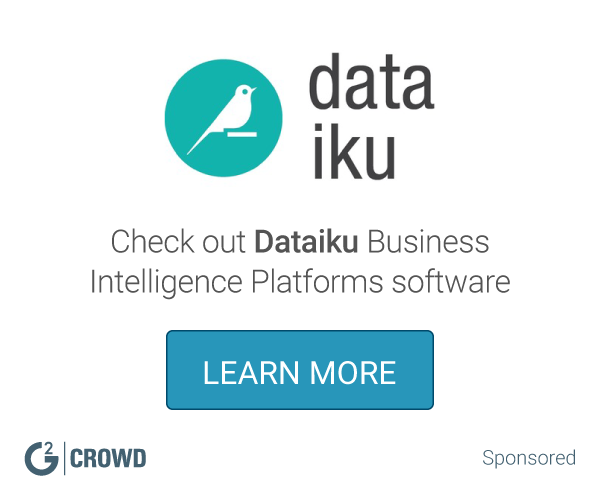 Are you looking to implement a solution like Amazon QuickSight?